Development trusts are a particular type of partnership organisation - one that offers benefits to the local community and has advantages for many public bodies, non-profit agencies and funders. The Development Trusts Association estimates that there are well in excess of 150 Development Trusts in England and Wales, with many similar organisations in Scotland, and in Northern Ireland. While there is no one model for Development Trusts, they do have common characteristics of being concerned with the regeneration of an area, not for private gain, aiming for long term sustainability, and community based and accountable. Their structure is explored in more detail later. Trusts offer considerable benefits. However, for trusts to be successful, they require a well planned start up process and considerable support during their early years. These issues are dealt with in the sections on Creating a Development Trust and Stages in the Start up Process. Many develop a land or property base which can earn them income. Some specialise and others are diversifying. But all are providing local solutions to local need. They have proven themselves to be innovative, responsive, business-like, professional and effective. Development trusts are a relatively new phenomena, and have grown over the past 20 years under many different influences and inspirations. They have placed more emphasis on economic development than many organisations in the traditional voluntary sector concerned with social welfare. Some trusts were created in the 1970s by activists who turned from campaigning to the creation of assets for their communities. Their later growth was in line with moves in the voluntary sector from volunteering to the appointment of professional staff, and the shift from grants to contracts. 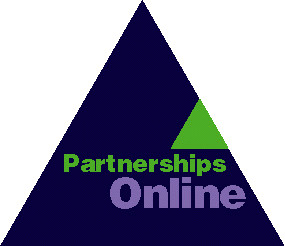 By the 1980s Government was taking an interest, and supporting the development of partnership models like Groundwork. By the 1990s Development Trusts and similar partnerships were an essential component of urban and rural regeneration programmes. At their best, trusts can draw support from a wide range of interests - the community and voluntary sectors, private and public bodies. They offer one means by which short-term funding, which is a feature of regeneration programmes, can be used to create a longer-term asset. There are now over 150 trusts in England and Wales, several in Northern Ireland, and a number of different trust models developing in Scotland. Outputs. In carrying out schemes trusts can often achieve results in difficult circumstances; carry out improvements that meet local desires, not just professional preconceptions; avoid high maintenance costs; and extend their concern beyond sites to the improvement of an area. Operations. As well as carrying out physical improvement, trusts at their best can reinforce the social links in an area and help develop local skills; they can act as champions for the future of an area and provide a focus for its regeneration. Government policy now clearly recognises and supports the principles on which Development Trusts are based and the role which they can play in regenerating communities. City Challenge Companies, Single Regeneration Partnerships, Housing Action Trusts, Rural Challenge Partnerships and other such initiatives, along with local authorities, now explicitly encourage community action and the long term, local approach to regeneration which Development Trusts embody. Many such initiatives see Development Trusts as forming at least a part, if not the core, of their 'forward strategies' - that is their plans for continuing development when they have ceased to operate. 'Development trusts are enterprises with social objectives which are actively engaged in the regeneration of an area - a valley, a housing estate, a town centre or a wasteland - whilst ensuring that the benefits are returned to the community. they aim to create assets in the community and make a profit - but not for private gain. Any profit made is re-invested in the community. There is no one model for trusts, but there are some common elements to both the legal and management structures of most trusts. The legal structure of Development Trusts is most frequently that of a company limited by guarantee. That is one which has members instead of shareholders, and which does not distribute any surpluses as profits, but instead re-uses them. Because the activities of trusts are frequently charitable, many trusts apply for charitable status - so that they are operating through a charitable company. This provides some tax advantages, a public identity which assures their probity, and also enables the trust to apply to charitable foundations for funding. However, since trusts also aim to earn income through trading activities, and there may be limits on what they can do as a charity, they frequently set up subsidiary trading companies which can covenant profits back to the main charitable company. The constitution of company is known as its memorandum and articles of association, and it is that which sets out the objects, powers and control. A company limited by guarantee has as its management committee a Board of directors, who must operate under company law. They are usually unpaid, and must certainly derive no personal benefit if the company is also a charity. The members of the company (equivalent to shareholders) will have powers defined by the memorandum and articles. They may be individuals or organisations, and may be given powers to elect or appoint directors - the legal structure is very flexible. The Board are the governing body, responsible for policy, but not day to day management. That is carried out by the paid staff, headed by an executive director or chief executive. The Board can appoint various sub-committees and working groups with delegated authority. See information sheets and the A-Z for more on these topics.